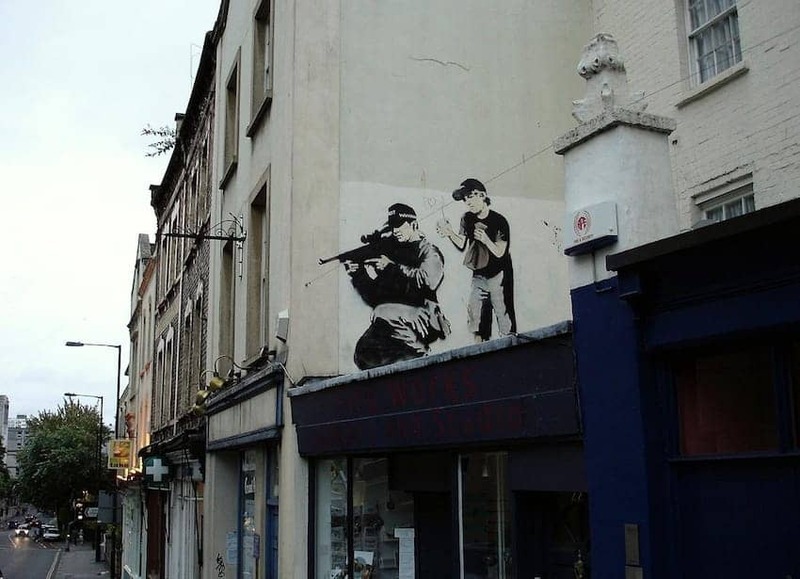 Banksy is a graffiti artist and political activist who produces satirical street art combining dark humour with graffiti in a distinctive stenciling technique. His works appear on streets, walls, and bridges of cities throughout the world and a significant number can be seen in Bristol where he grew up and was part of the underground scene. Street art walking tours in the city take in a large and diverse selection of his work. Banksy has inspired many other street artists. His true name and identity still remain unconfirmed.